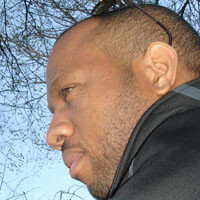 Charlos Gary is a nationally syndicated cartoonist, graphic designer and illustrator. He was born and raised in Florida and currently lives in New York City. Charlos is a graduate of the University of Toledo (Ohio), where he drew a series of award-winning editorial cartoons for the student newspaper during his time there. In 2001, Charlos created “Working It Out,” a comic panel inspired by his days working at the Chicago Tribune newspaper. In 2006, Charlos authored the book “It’s Always A Great Day To Be The Boss,” A collection of cartoons from his “Working It Out” comic panel. The following year (2007), Charlos created the comic strip “Café con Leche,” a strip that is loosely based on events and people in his own life. In his spare time, Charlos can be spotted running around Central Park or probably sipping merlot at one of New York’s many wine bars.